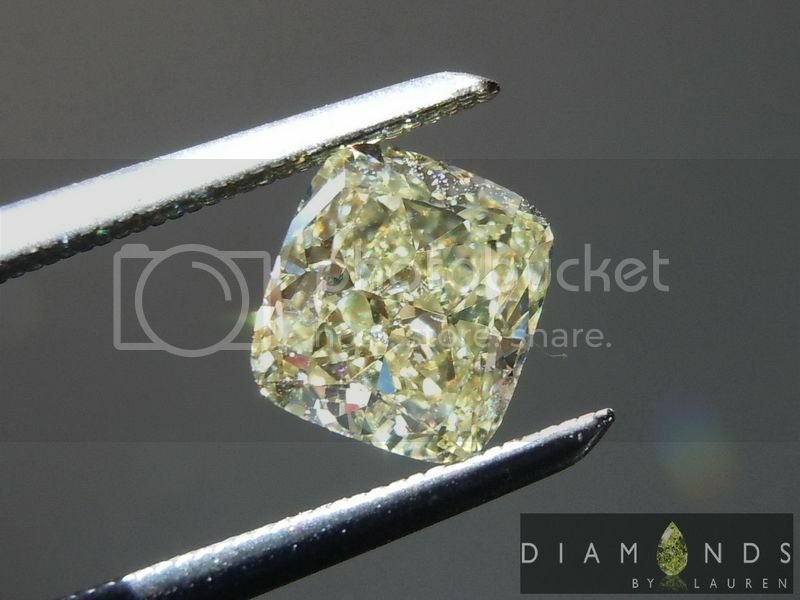 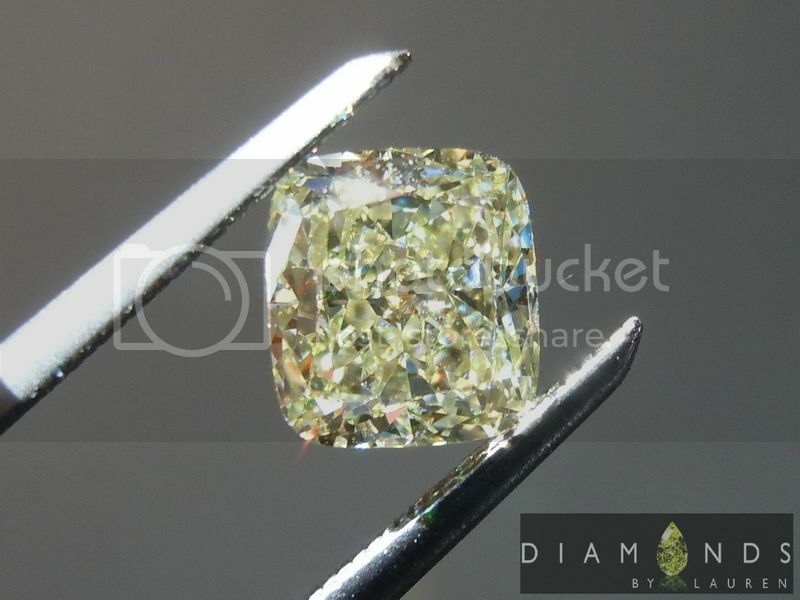 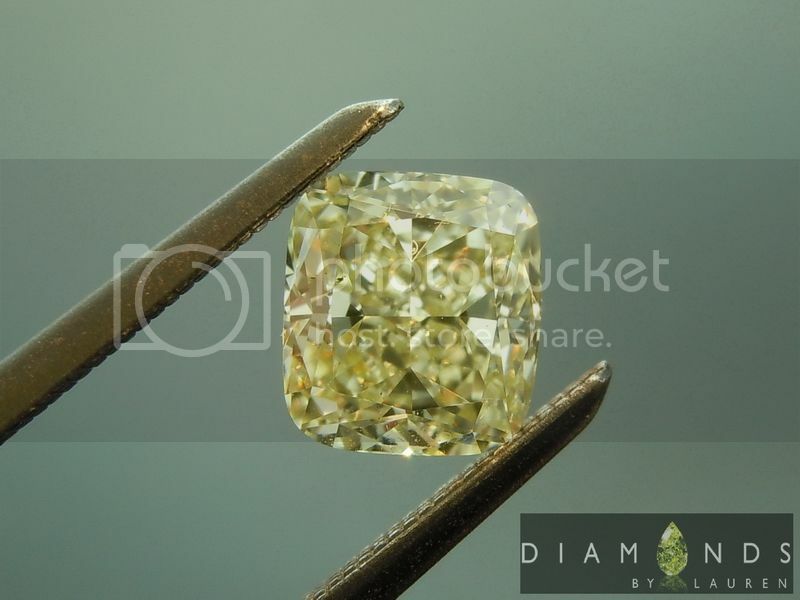 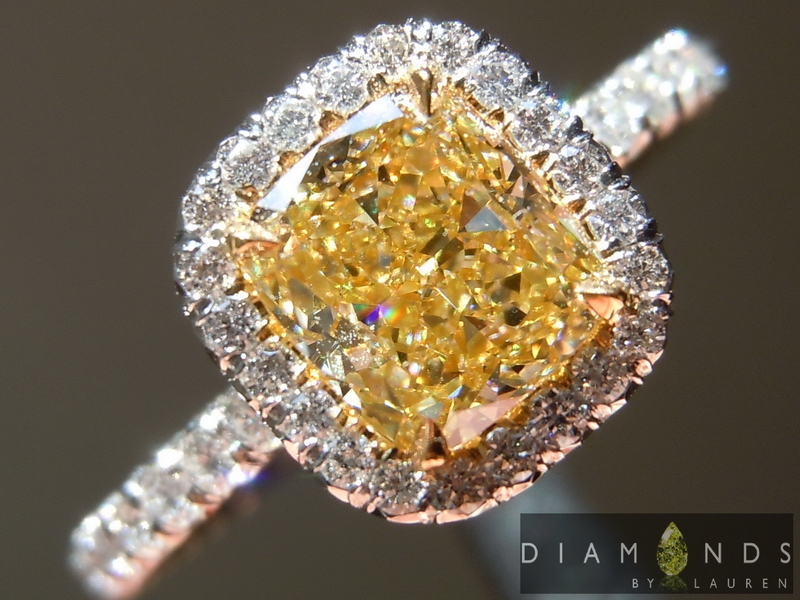 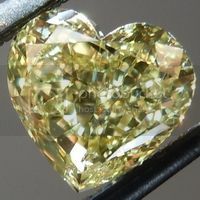 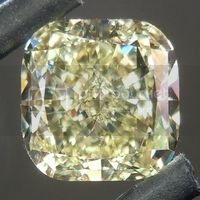 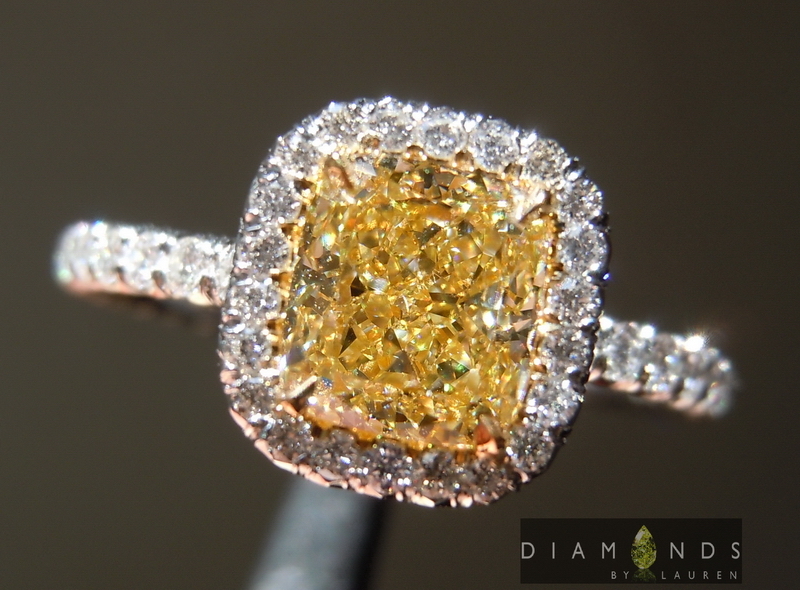 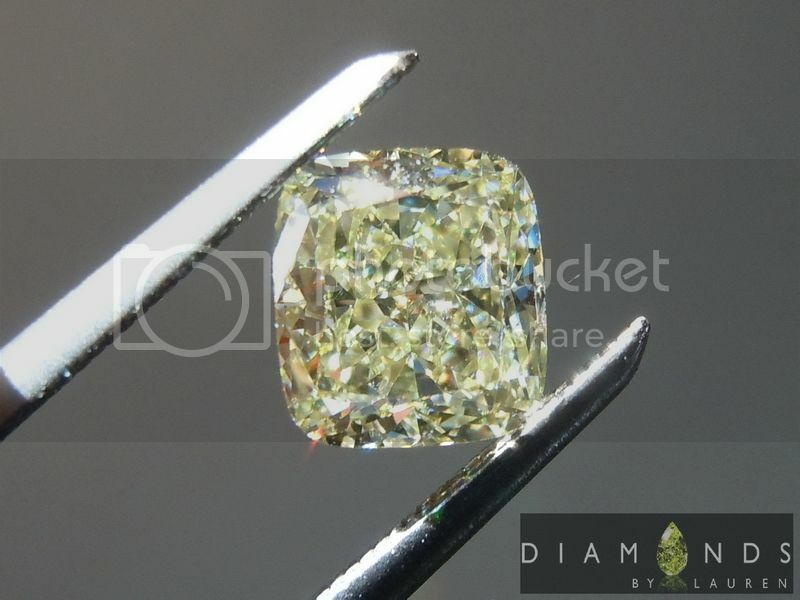 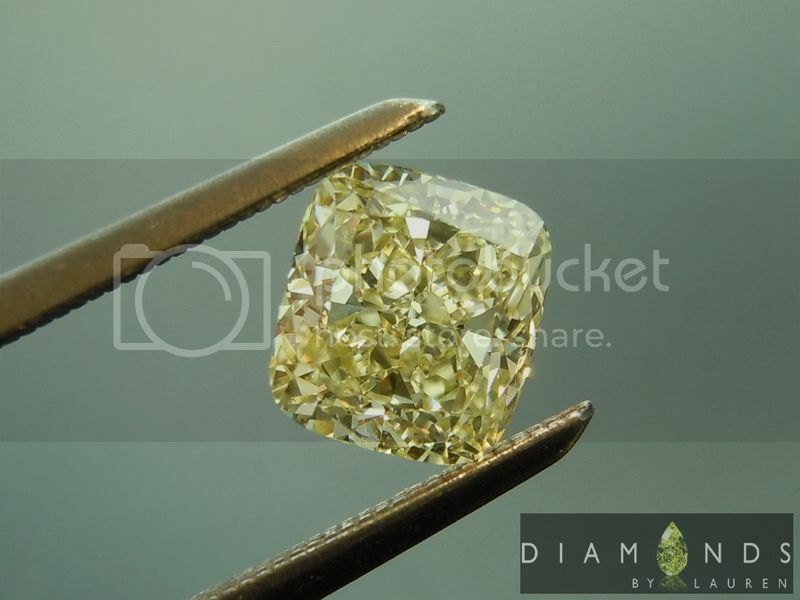 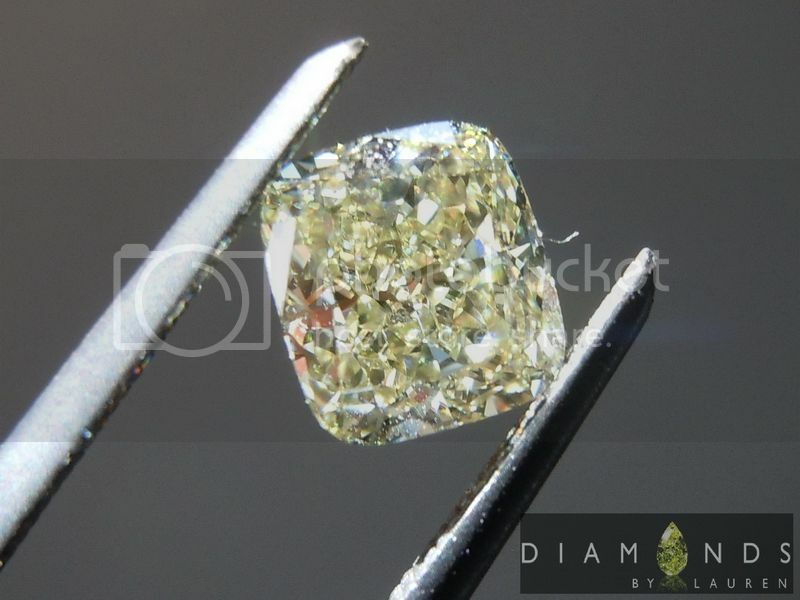 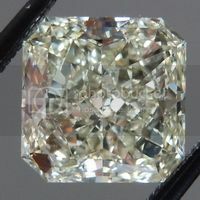 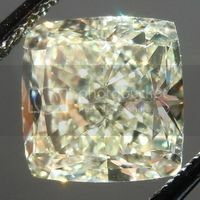 Here is a textbook example of a super well cut fancy yellow cushion diamond. 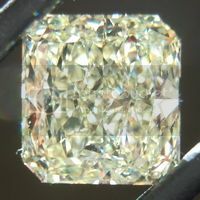 The sparkle is overwhelming- there's no dark areas at all. 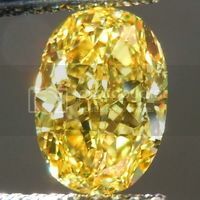 The color is close to Fancy Intense Yellow. 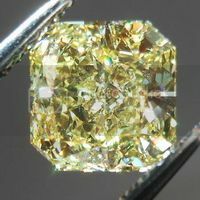 Totally eye clean VS2 clarity - VG/VG in polish and symmetry, which is rare for a Fancy Yellow. 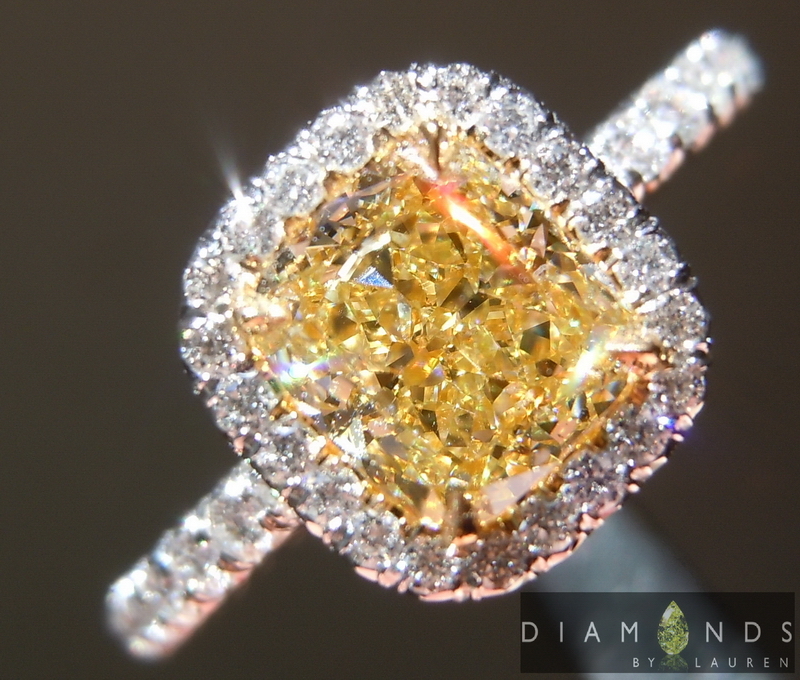 This stone will look amazing once we set it- and we'll guarantee that if you have us make a ring for it. 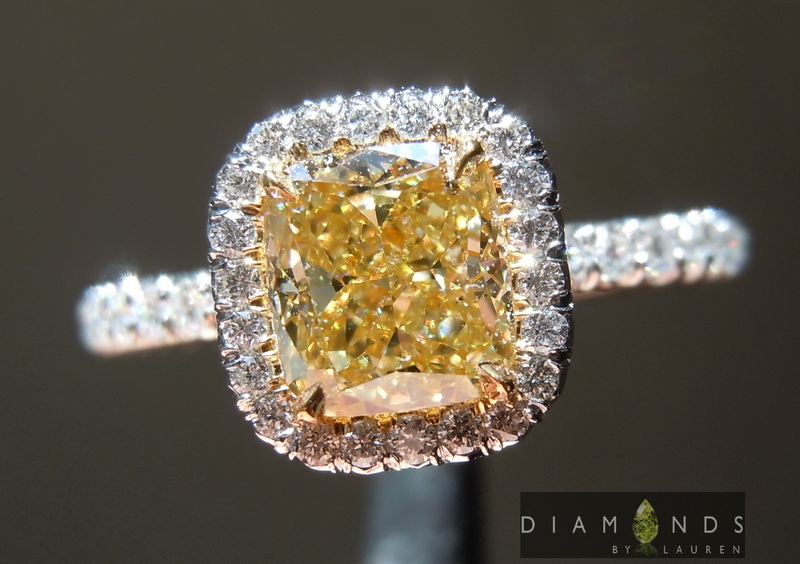 This stone looks amazing in the ring - total sparkle! 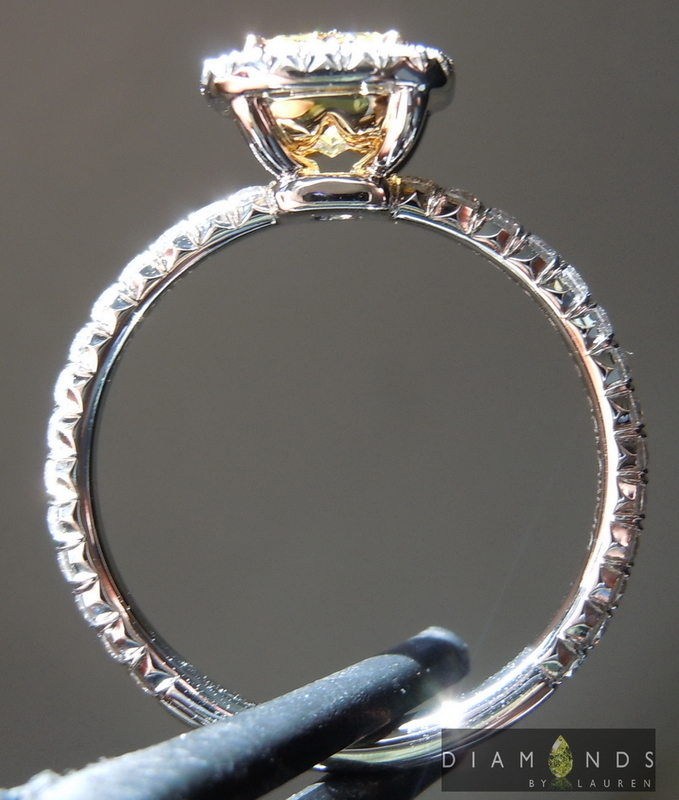 The "Uber Guys" did the unusually usual (for them) amazing job.